Star Trekkies may have Comic Con, but our green thumbs will get a “Horti-Con” this weekend at the World Trade Center. 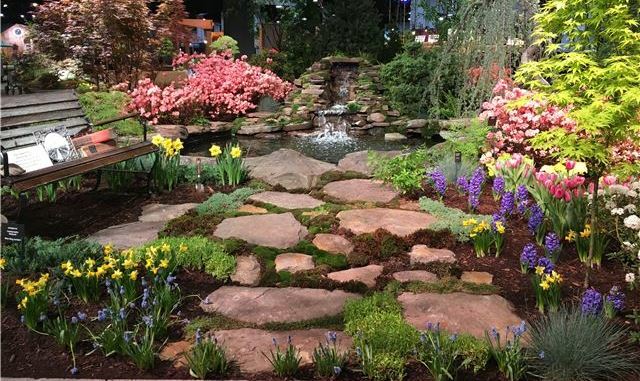 The Boston Flower & Garden Show honors the trendsetters, innovators, and flowering masterpieces that inspire each of our green thumbs. With Americans spending nearly $3 billion each year toward growing flowers, it can’t hurt to get some expert opinion on how to get the most bang for your buck! Lectures on garden design and floral arrangements can’t be missed – there’s even one about how to start your own bonsai garden! The Flower & Garden Show is the best place to get your supplies – peonies were our best seller last year! Over 60,000 visitors joined us last year to see the over 2 million blooms, and this year should bud with further opportunities.